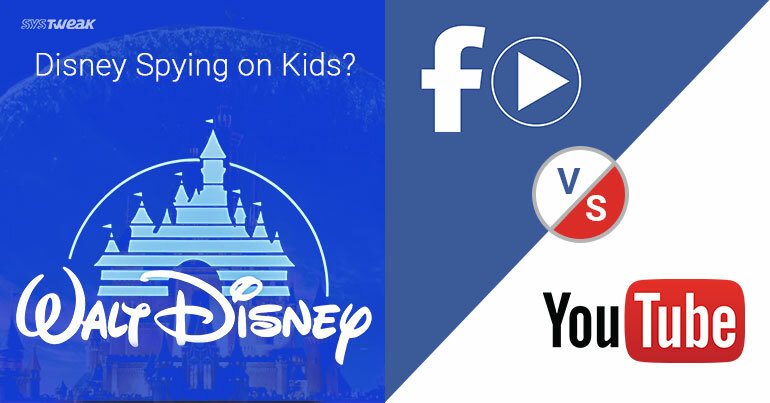 42 Disney apps under question for spying on kids. Disney has been pulled into court by a San Francisco woman for collecting personal data on children. This includes more than 40 individual apps, that allegedly use trackers to maintain an informational database on its users. Since these apps are directed at younger users aged 13 years and below, they are in direct violation of “Children Online Privacy Protection Act of 1998”. According to this law “COPPA imposes certain requirements on operators of websites or online services directed to children under 13 years of age, and on operators of other websites or online services that have actual knowledge that they are collecting personal information online from a child under 13 years of age.” Hence, a class-action lawsuit has been filed against Walt Disney Company for trying to manipulate children’s behavior through that data. WHAT DOES DISNEY HAVE TO SAY? Named as “Watch” the new video hub by Facebook aims to lower Youtube videos shared on Social media. The news about facebook launching their own hub of original video content has been around for almost 6 months now. However, it seems they’ve finally decided to pull the wraps on their development by announcing ‘Watch’. The new service will be available for all platforms including Mobile, Desktop and Facebook TV, which will be gradually made public. This will be integrated within the facebook page, under a new tab. It would feature content such as music videos, original series, live sports, cooking shows, cultural events and a lot more. Despite this announcement, the service will only be made available to a select number of users in the US. However, Facebook hasn’t yet announced a specific release date which does make things a little boring. DO THEY REALLY WANT TO COMPETE WITH YOUTUBE? While a lot of experts have suggested that Watch could be a ploy to decrease Youtube links being shared on Facebook, but things are clearly different than what they seem. Since Facebook’s primary emphasis is on creating and promoting original content, there’s highly a chance that Youtube will have any dearth of viewers. Moreover, this strategy aims to increase their revenue generated by ads through videos. The video marketplace is already pretty crowded and it wouldn’t really be beneficial for Facebook to compete rather than upscale its revenue.